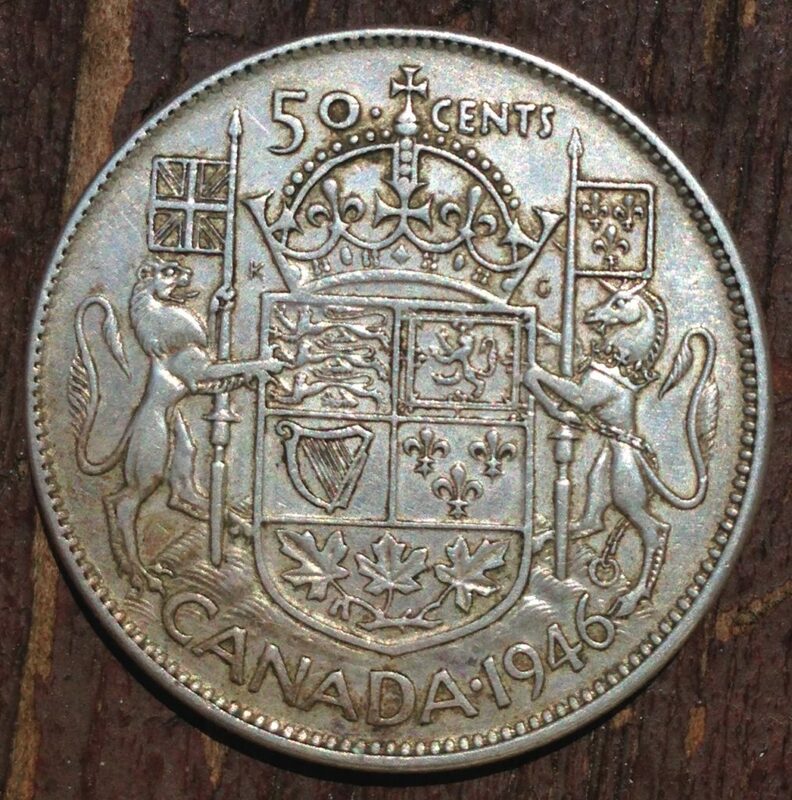 • In honour of Canada Day (yesterday), a rendition of the Royal Arms of Canada from a 50-cent piece from 1946. I always liked the style of this one. “KG” = Kruger Gray. I like how this one has a real compartment (actual ground that the supporters are standing on), as opposed to the rose-thistle-shamrock-lily “bouquet” that one normally sees. I also like the omission of the motto, helmet, mantling, and crest, and and the depiction of the old-style “Imperial” crown. The maple keys on the branch are a nice touch. This entry was posted in Anniversaries, Canada, Design, Heraldry, Numismatics, United States by jgood. Bookmark the permalink.